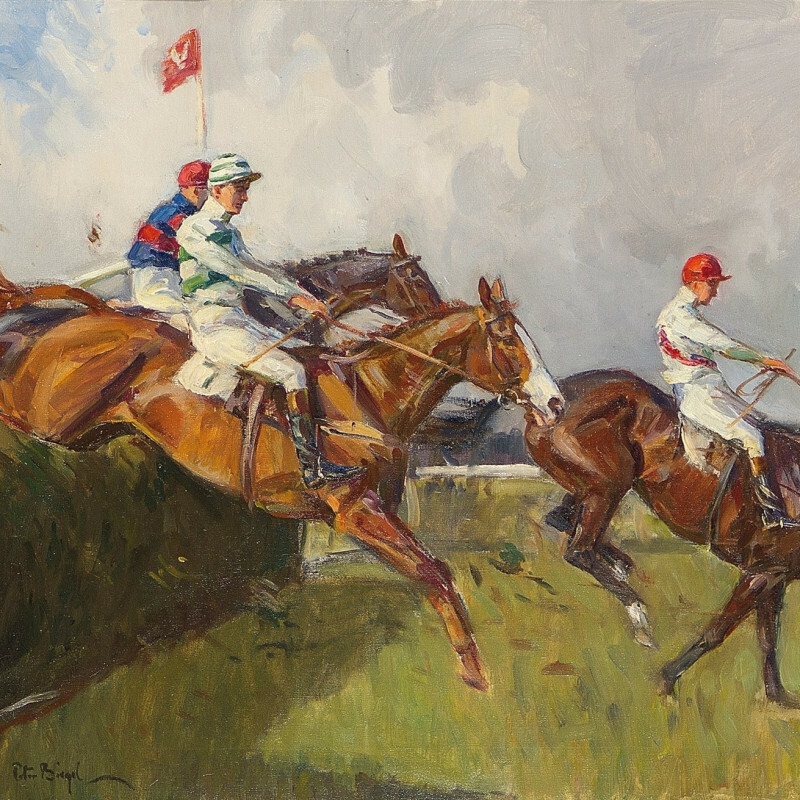 Peter Biegel's own passion for racing and hunting gave him a head start in his understanding of sporting subjects. Educated at Downside, he initially began a career working for his father in the city before deciding to enroll at Lucy Kemp Welch's school of animal painting in Bushey. His studies took an unexpected pause when he served in the Wiltshire regiment during the Second World War. Subsequently he worked in Northern Ireland as a claims officer before returning to art and sharing a studio with renowned sporting artist Lionel Edwards.